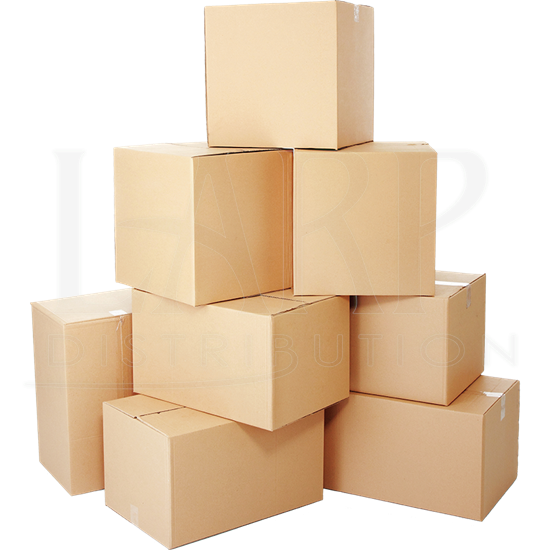 This item is for Drop Ship customers only. If you are drop shipping your order, there is a $5 fee per drop ship order. 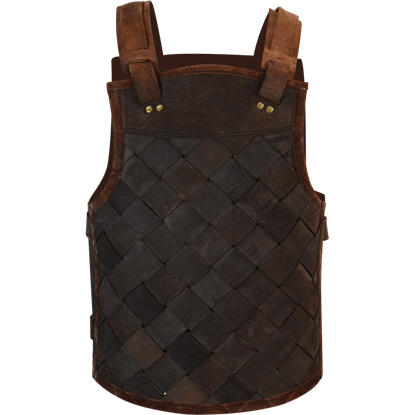 Armor on a budget does not mean you have to sacrifice protection or looks. 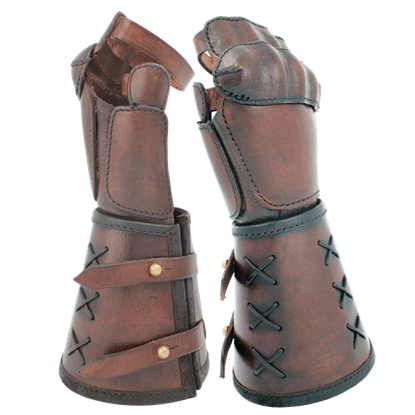 This RFB Fighter Leather Armor is a fine choice for any LARP warrior to wear, one that offers plenty of protection, as well as a rather distinctive look, too. 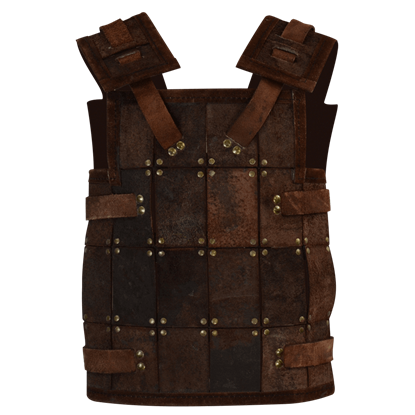 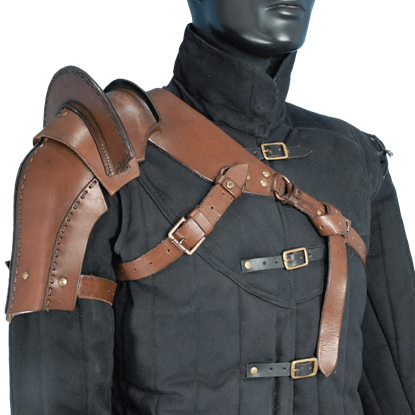 The Warriors Single Pauldron is designed to be worn on the right side shoulder and comes with a built in chest harness that provides a very comfortable and sturdy fit. 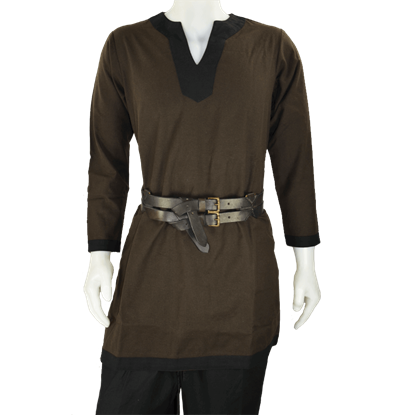 Great for LARP, Theater, Movies, Costumes, and the SCA.